Justice. Learn the facts and share. See below to connect with us. In the mid-2000s, two men suspiciously disappeared right after a local ranch owner becamed angered at each of them. 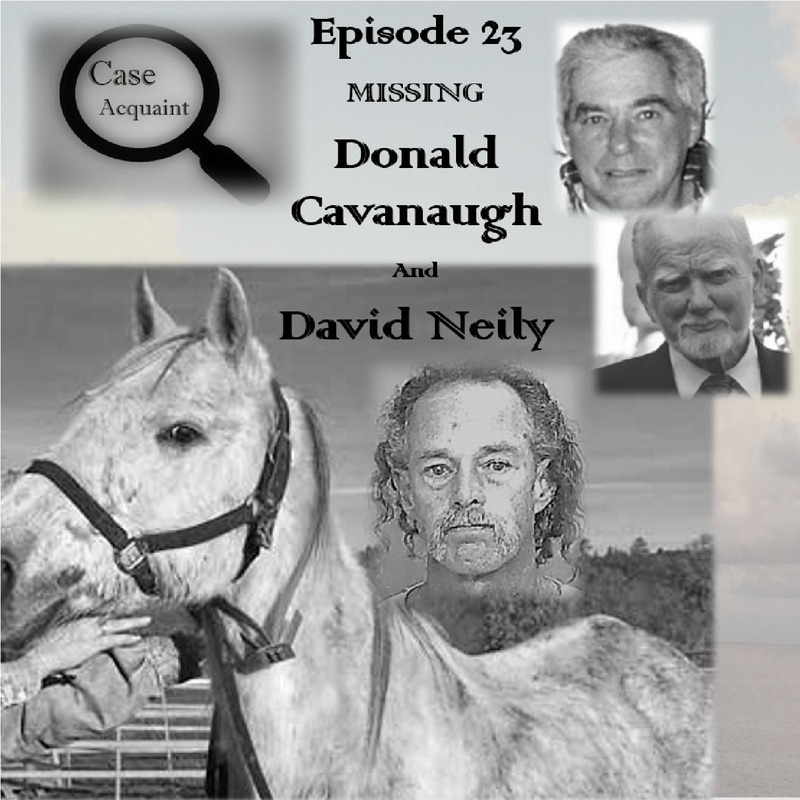 The first, Donald Cavanaugh, disappeared in March of 2005. He was the uncle of the temperamental James Denoyer, on whose 20 acre Californai ranch several horses were languishing, and after securing 14 of Donald’s horses, James decided he no longer had a need for the 63 year old heart patient. The second man, artist and metal worker David Neily, was introduced to Denoyer by his son, Ryan, who was employed by Denoyer’s construction business. David disappeared in April of 2006 during an investigation of Denoyer for animal cruelty. David’s family reported that Denoyer had threatened Ryan Neily, and had accused 69 year old David of alterting Animal Services to the squalid conditions under which the horses lived and died on Denoyer’s ranch. The men disappeared after each had told someone they were on their way to the ranch to retreive their items from Denoyer’s property, and there has never been a trace of them seen or heard from since. Check out our website caseacquaint.com for more information about this case. © CaseAcquaint and Case Acquaint Podcast, 2017. Unauthorized use and/or duplication of this material without express and written permission from this site’s author and/or owner is strictly prohibited.